Data Management is a key aspect of the VANTAGE GROUP® system. We maintain a catalog of over 4 million electrical parts and we use that information to clean and identify your material. Your past purchases and internal data, along with our enhancements, become the basis for all catalog content. (See Scrubbing below). Once that process is complete, we load the data into the VANTAGE GROUP®, local distributor, and customer systems to ensure that everyone is working off the same item master. This significantly reduces errors for all parties. Additionally, your purchases are captured and categorized to be used in specific customer reporting and manufacturer negotiations. Inputting this data into our proprietary in-house scrubber program, we cleanse, analyze and identify each item to a unique UPC code. That industry standard code allows us to provide the correct part numbers, descriptions, and (if available) deviated pricing. Combining customer data with our results allows for a seamless customer e-commerce experience. Our pricing team will then negotiate with our key manufacturers to improve the item’s price based on specific customer volume. VANTAGE GROUP® was formed exclusively to support the electrical supply needs of the multiple location industrial customer. VANTAGE is comprised of, and owned by, some of the most progressive Electrical Distributor organizations in the world. Combined, we offer over 400 years of experience and employ over 22,000 professionals. Our local branches are also market leaders, maintaining a strong position within their geography with specific inventory tailored to their customers. 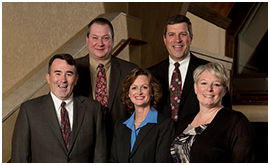 Our team stands ready to assist you with your electrical commodity management needs.